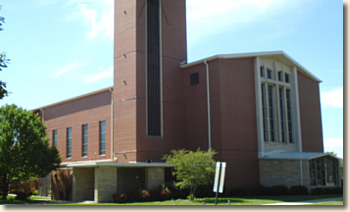 Saint Linus Church, a Roman Catholic parish in the Archdiocese of Chicago, is located in the southwest Chicago suburb of Oak Lawn, Illinois. Demographically speaking, the parish has been one of the most stable in the Archdiocese, comprising about 2,500 families, of which about 2,000 people attend Mass each weekend. The parish sponsors numerous organizations which regularly seek out and welcome new members. There are groups for teenagers, young adults, men and women, single adults over fifty-five years of age, senior citizens, and the bereaved. There are clubs and varied events for card players, knitters, golfers, basketball players, and couples volleyball. The parish has proudly sponsored for decades one of the most active St. Vincent De Paul Societies in the Archdiocese who assist those in need. Our Outreach Team works with families who are affected by addiction. They sponsor two twelve-step meetings for A.A. and G.A. groups. We have a strong Peace and Justice and Pro-Life Groups. 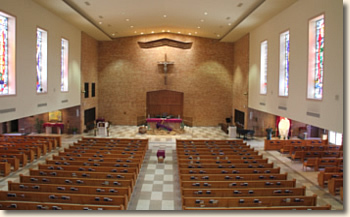 We partner with another local parish, St. Germaine Church also in Oak Lawn, to support the Courage Program for unwed mothers. 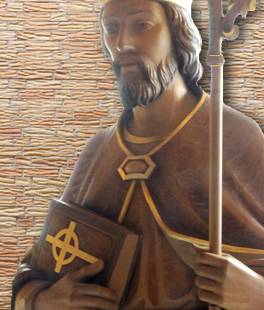 The parish has a long tradition of well-attended pre-Holy Week Lenten Parish Missions. There is a parish prayer group, which meets weekly, and we sponsor two bible study session groups each week. We host a women’s Evening of Reflection given by Opus Dei on the third Thursday of the month and host Taizé Prayer on the second Thursday of the month. We have a twenty-four hour Chapel for Perpetual Adoration of the Eucharist. We also have daily Masses, followed by recitation of the Rosary, in the church. Parishioners are very involved in parish liturgy serving as greeters, ushers, lectors, Eucharistic Ministers, and as music ministers. We have a wonderful adult choir, adult music ensemble, teen choir, and grade school children’s choir for students in the parish school and in our religious education program. St. Linus sponsors a U.S Department of Education "Blue Ribbon" for Academic Excellence Award winning parish grade school serving students from three-year old pre-school through eighth grade. Our Religious Education Program serves students from first through eighth grades. Before a child is to receive the sacraments of Reconciliation, First Holy Communion, and Confirmation, they need to be in our parish preparation programs for two full years. We also annually run a week-long summer vacation bible school program for younger children.